MTS really isn’t the biggest ship on my radar. In fact it’s quite a small one, but I recently had a fan reach out to me (and she wasn’t the first), asking me to do an MTS Nutrition Machine Whey review. I don’t know how or why, but MTS is really coming into popularity with tons of folks. After my first MTS review- which was on their Clash pre workout drink, I could kind of see what the fuss was about. I found that product to be very adequate and nicely made. In this review, we’re going to do a little bit more digging into MTS’s capabilities by talking about the Machine Whey Protein powder. Let’s start with flavors. I think the capabilities of a supplement company are best tested in the protein category. This is where you have to have flavors be on POINT, the formula needs to be on point, and OF COURSE it has to look good on the outside. We begin by evaluating flavor. I had the pleasure of trying three of. Them. So. 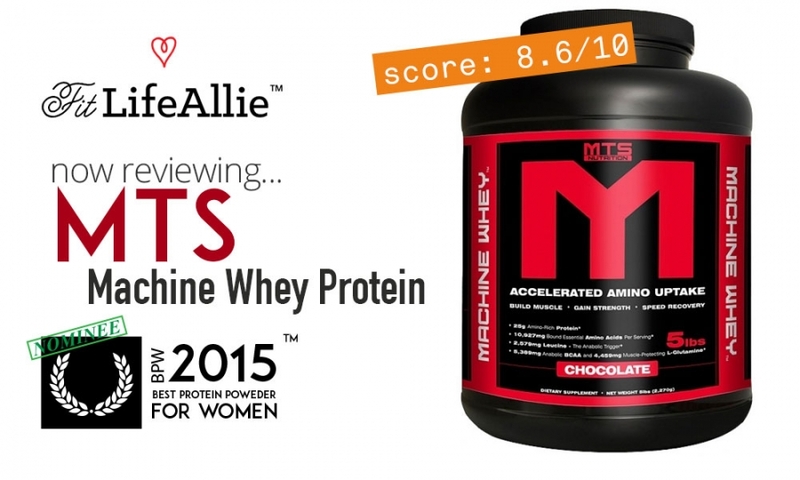 What is the Best Flavor of MTS Machine Whey Protein? The best flavor of MTS Machine Whey is the No-Bake cookie. And none of you should be surprised with that statement. It meets the criteria of being sweet, a bit salty, and overall just a really imaginative flavor by the folks at MTS Nutrition. I don’t think you can possibly come up with a protein powder flavor idea any better than this one is. It tastes legitimately like grounded up Chips Ahoy cookies. Now. Is it better than the EVLUTION Stacked Protein’s Birthday Cake flavor? That’s a toss up. I like that the MTS protein has more salt. It is more authentic in your mouth. Super tasty. The second best flavor of MTS Protein, and it’s yet another super creative flavor, is the Caramel Sutra. I usually am not the biggest fan of salted caramel, but trust me- MTS nailed this one. Like. Really nailed it. The reality is that this flavor is actually a little bit LESS salty than the No-Bake cookie, but that is a plus. It let’s the caramel notes really shine, and they are good, real-tasting caramel notes. This is such a smooth and easy to drink shake that I think you will really, really enjoy. My least favorite flavor of the MTS Nutrition Machine Whey is the Key Lime Pie. I don’t know that Key Lime is the best option for a protein powder period- meaning I don’t think any brand could have done it THAT much better than MTS. I don’t get too much of the graham cracker crust, which is what would set this protein flavor apart and really make it stand out. But alas it just tastes more like a creamy lime. The pie part really isn’t there. Overall though, I give mad props to MTS on flavor. The average flavor grade of Machine Whey is an 8.8/10, with the Cookie flavor being a 9.3. If you are considering buying some Machine Whey definitely go with the No-Bake Cookie. I’ve heard the Cinnagram is also tasty, although I have yet to try it. The only thing I would call out that doesn’t tickle my fancy is the saturated fat content of 2.5g. You really want to avoid saturated fat after a workout because it can limit the insulin spike that you get, which in turn helps you recover faster. But 2.5g also isn’t going to make or break your gains. From an ingredient standpoint, things are really basic with MTS Machine Whey. This is a whey blend- featuring concentrated and isolated forms of whey- much like, well, just about every whey protein powder mix. This protein calls on natural and artificial flavors and sweeteners, which is also very standard. I’m not particularly crazy about the fact that they use acesulfame potassium to sweeten, as I believe it is even less healthy than sucralose. But as I always say, I doubt it’s as unhealthy as the six glasses of wine I’ll have on Friday night. Lol. So that’s really it as far as formulation. It’s nothing crazy, but it’ll get the job done. I give it a solid ‘B’ grade. MTS seems to struggle a little bit on their packaging. If I was the Devil, I would probably like it. Because then it would look like me. In fact, if I was the devil, than MTS would look EXACTLY like me. I don’t know who’s decision it was to go with the black and red ‘underworld’ theme, but, guys, it’s just not a good look. Like. What girl wants to open up a black tub with red trim, and put a big scoop of that powder in their body? Granted it’s not the most pure formulation out there, but it’s not as dangerous and ‘dark’ and artificial as the packaging makes you think it is. I know that’s a confusing sentence structure. But read it again. They are putting themselves behind the proverbial eight ball and backing that eight ball into the proverbial corner by making a label that is so, well, just polarizing. It looks like it wants to harm you. Understandable for a pre workout, but not so much for a protein powder- especially one that some girls are starting to become fond of. Just saying. That is all. I’ll be here all week MTS! You can send the check to me at… LOL. Just kidding. But not really. It’s been done before. Wink wink. Ok let’s polish this Machine Whey review off with a nice little review summary.